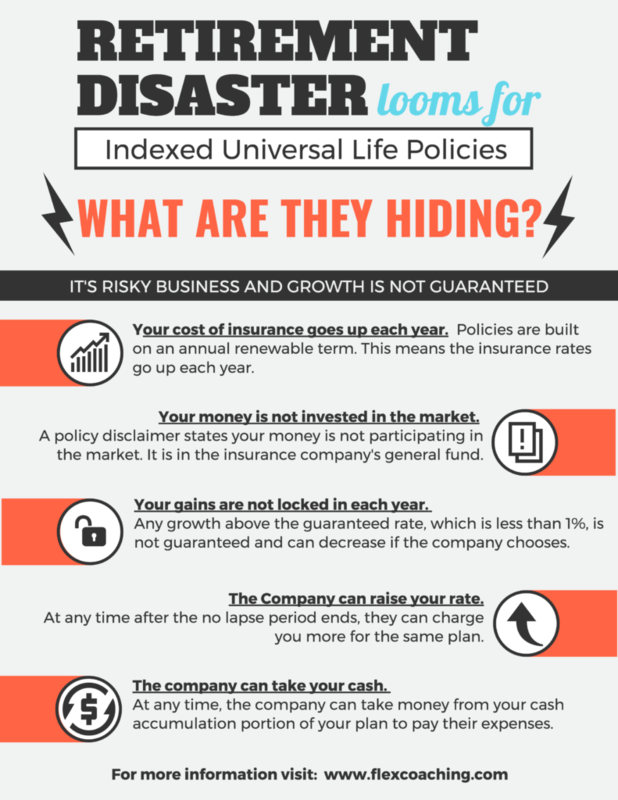 In our previous blog post we discussed how insurance companies are deceiving both agents and potential policyholders with Indexed Universal Life (IUL) policy illustrations and the misleading policy provisions. Recent news further confirms industry suspicion. The National Association of Insurance Commissioners (NAIC) passed new rules for Indexed Universal Life Illustrations this past month. As of September of 2015 a new cap has been placed on the crediting growth rate that can be used in IUL illustrations. The NAIC felt is was necessary to pass this once they were able to look at the inner workings of the policies only to discover the policies were not performing anywhere close to the illustrations. One quote from the article highlights on of the deceptive selling practices IUL companies are using to push these policies on unsuspecting agent and consumers. Besides capping the crediting rate of the policies, the NAIC will also be applying standards to policy loans that will be going into effect in March of 2016. This sudden need for oversight by the NAIC only confirms general concerns in the industry about IUL products and how safe they really are. If you want to become a reformed universal life believer we can help you make that transition. Utilizing our system, you can offer your clients a product without all of the negative baggage. Check out this comparison chart to see how it differs from IUL providing clients better guaranteed protection, cash accumulation options, and total control of their money.